We are looking forward to Family Fun Day tomorrow. A huge thanks to our Parent Association for the organisation of this event. Let's keep our fingers crossed that the weather plays its part. Thanks to everyone for their patience on Wednesday, as we had to enact the 'Stay Put' alert due to lightning. Lightning is a serious threat to the safety of children and adults on campus, therefore we have developed procedures to ensure that their safety is of the utmost priority. AISJ has contracted with AfricaWeather who have access to 26 sensors across SA, used to track lightning patterns. There are 10-12 sensors within 500 km of JHB/PTA. Each sensor has a 1000km monitoring radius and are all inter-linked. When lightning is within 15km of AISJ, this triggers the school's alarm system telling everyone to seek shelter inside. Selected AISJ personnel receive SMS and email alerts, to begin tracking the lightning activity through AfricaWeather's web portal. Once the alarm is sounded, we enact the 'Stay Put' alert and children are not allowed to be released from class until the all clear is given. We realise that having students stay indoors past dismissal time is disruptive to after school schedules, however, we feel a strong obligation to ensure that the safety of our children comes first and foremost. We thank you in advance for your understanding during these situations and please feel free to reach out to me directly if you have any questions regarding our procedures. If you would like to submit a placement letter for consideration, please read this letter carefully. Parent Placement Letters are due next Thursday, April 18th and due to the timing of our placement process, late submissions will not be accepted. Tickets will go on sale through the ES Office the week of April 23rd. Tickets are R80. We would love to see as many parents and students there to watch our Grade 3-5 actors in action. Earlier in the week, the office sent a letter regarding MAP testing to parents in Grades 3-5. Please find this on the ES Portal. We have moved the upcoming ES Parent Coffee time from May 14th to April 24th as the AISJ Counselling team are planning on doing a PK-12 presentation on Cross Culture Kids. On April 24th at 8:00 in the Middle School Library all AISJ Johannesburg counsellors will be part of a presentation discussing supports for students and families in transitions along with information on Cross Culture Kids (CCK's). This presentation will focus on CCK's and supporting these students and families who are either new to AISJ/South Africa or who will be leaving AISJ at the end of the 2018/2019 school year or in the very near future. The above presentation and date will replace the previously scheduled May 14th meeting on "Students and Families in Transition" that had been scheduled for Elementary parents. Please feel free to contact the Elementary Counselor, John Gaston if you have any questions. AISJ offers a holiday program that runs in the June/July holidays. This program runs for 3 weeks from June 3rd to June 21st. You can do 1, 2 or all 3 weeks. It is a wonderful place to send your child should you not be leaving South Africa straight after school closes for the June/July break. The program starts at 09:00am and finishes at 1:00pm each day and the cost includes door to door bussing, engaging workshops, all supplies, snacks and a field trip each Friday which includes packed refreshments. This year the field trips will be Bounce, The Monte Casino Bird Gardens and Ice-skating (Gr. 1 and up) and PlayScapes (Pre-k and kinder). To register your child/ren, please log onto Powerschool and click on forms/signups, this will take you to the Johannesburg Campus Winter School Request form. Please note that registration starts in February and runs until May 24th. Closer to the start of Winter School you will receive an information letter regarding the program. 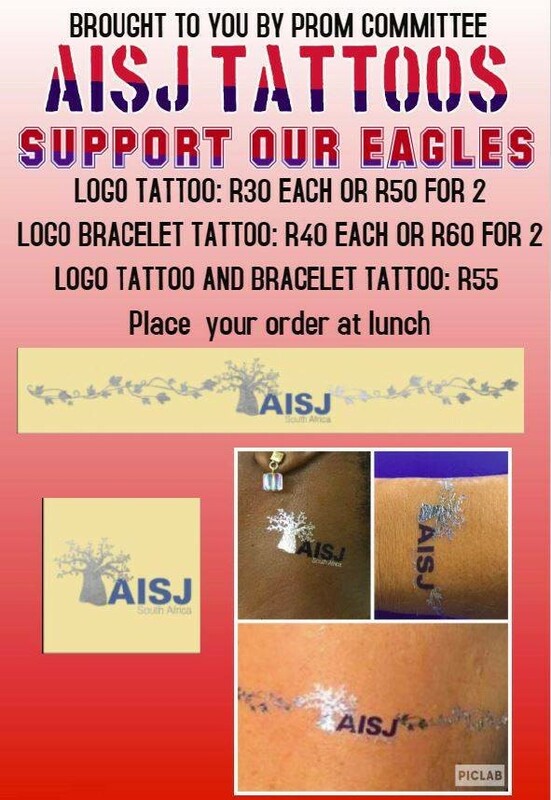 Please contact Nikki Kaplan, in Middle School, by emailing her on nkaplan@aisj-jhb.com should you require any further details or have any questions.